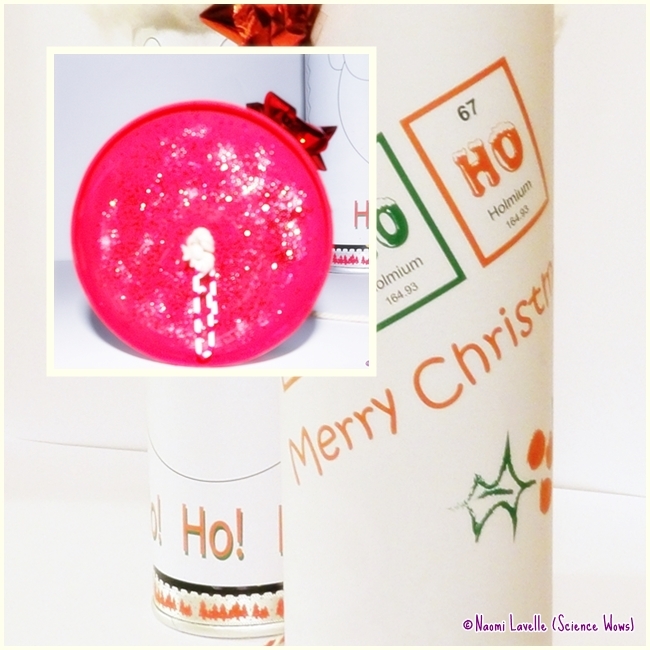 I'm so pleased to welcome Naomi from Science Wows back again today for Day 10 of #CraftAdvent2015. Again today, Naomi proves that science and craft go hand in hand and that she knows how to make learning fun! I love these sound tubes and can't wait to try making them with my girls. 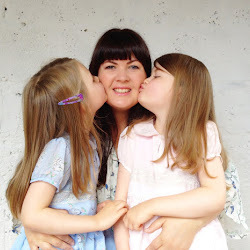 Make sure you check out Naomi's first post for this series 'Chromatography Christmas Trees' too! I am thoroughly enjoying this wonderful Craft Advent series and am delighted to be back with one more science craft to share. This one was inspired from a science of sound workshop series I did in schools recently. We made ‘screechy cups’ to demonstrate how sound works and then the children got to test out a number of different cups and tubes of various shapes and sizes, to listen to the different sounds they made. Some of the children mentioned that one particular tube sounded like Santa, and that got me thinking. 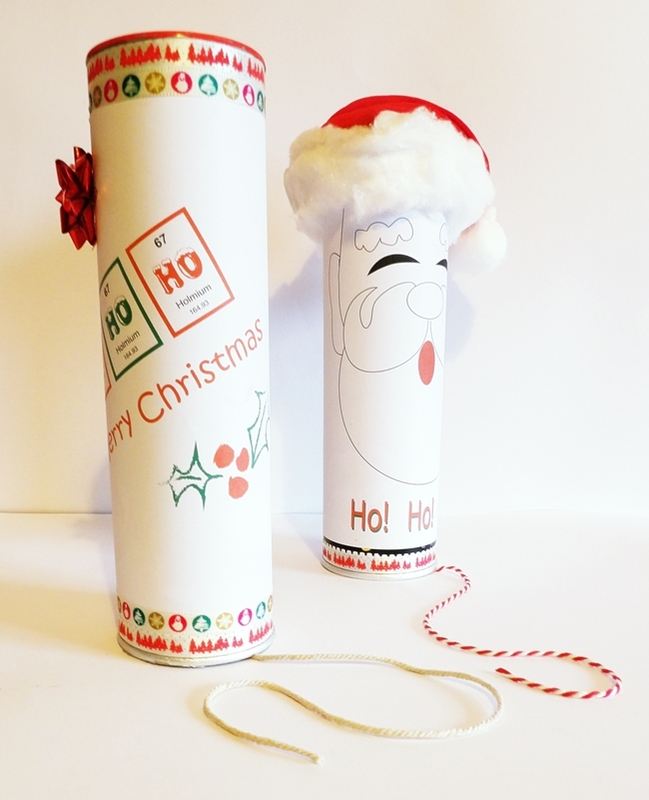 I hope you like these little Ho Ho Ho sound tubes designed with that in mind. First you want to place a hole in the metal base of the pringles tube, right in the centre; you could use a hammer and nail. Now cut a length of cotton twine, about 50 to 60 cm in length. Tie the twine to a paper clip and then thread it into the hole in the pringles tub, pulling the string through all the way. 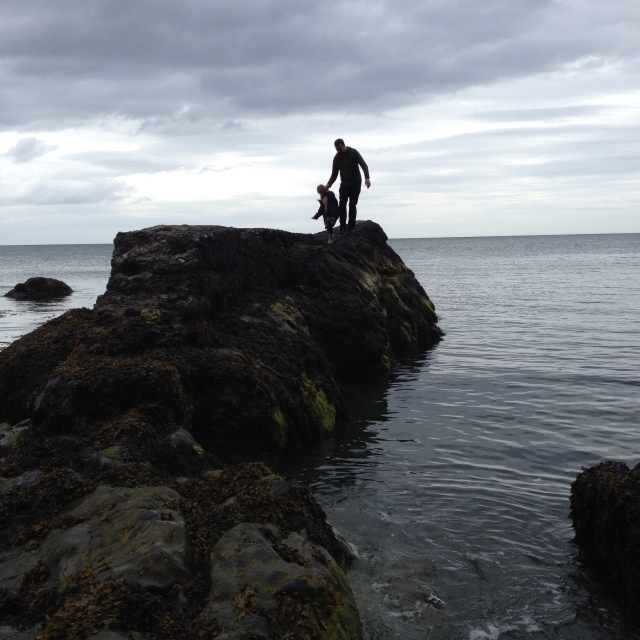 Then it is time for the fun bit. Decorate the tube in whatever festive way you feel. 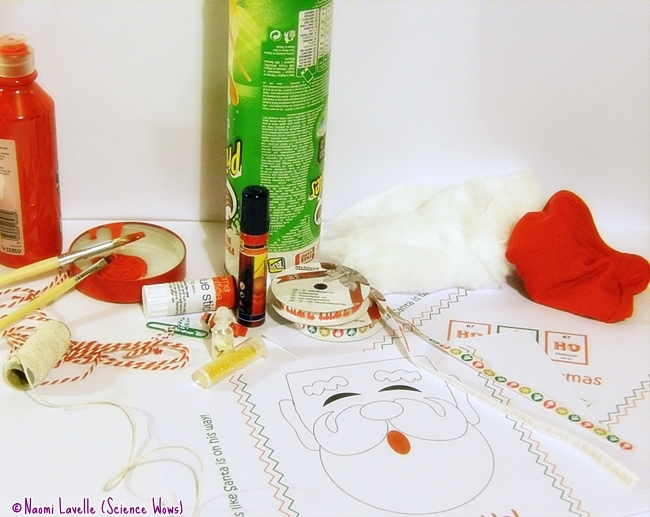 I have provided two fun printables (Santa and HoHoHo) that you can use, as I did. 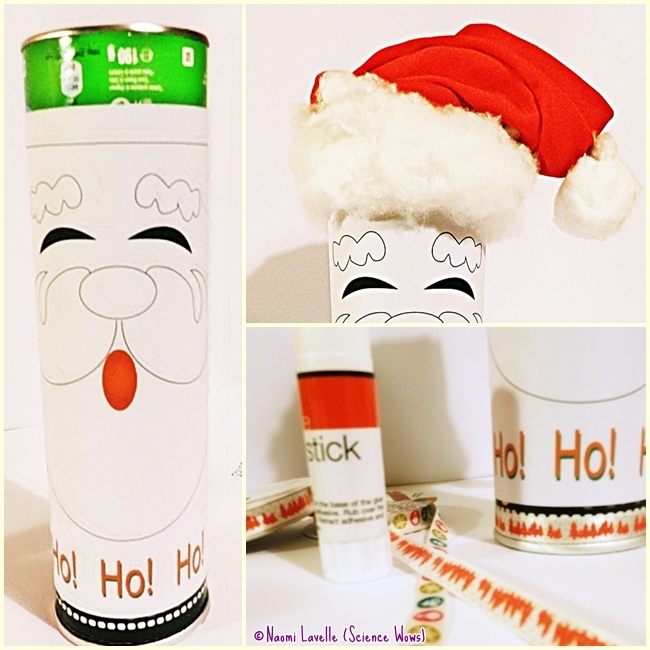 For the santa tube I first glued the printable around the tube. I then used an old scrap of red fabric to make a hat, attaching a ball of cotton wool as a bobble. Once this was attached to the top of the tube I glued a rim of cotton wool between the hat and the printable. Finally I glued some festive ribbon to the end of the tube. For the Ho Ho Ho tube I glued the printable as before, then I glued some festive ribbons around the top and bottom rim. Finally I painted the top red, sprinkled some glitter and it was all ready. To use these festive tubes, simply dip the string into a bowl of water, or just wet your fingers. Pinch the string between your thumb and first finger, about a third of the way up from the end of the string. Keeping a gentle, even pressure, pull down along the string, in three even bursts. You should get a convincing “Ho, Ho, Ho!” Guaranteed to give everyone a giggle! This simple little experiment uses friction to make the vibrations that cause the sound. When we pull our fingers down along the string the friction between the two makes the string vibrate. These vibrations travel through the string, transferring to the tube which causes the air inside the tube to vibrate. The vibrating air molecules bounce off each other, and the sides of the tube, amplifying the sound as it comes out the end of the tube, giving the loud, deep Ho, Ho, Ho sound. If you change the shape or material of the tube you will find that the sound changes too. Ho, Ho, Ho… Merry Christmas! This is so cool! I can't wait to try it out. Isn't it FAB?! I'm dying to try it too. I think it'll be great festive fun.